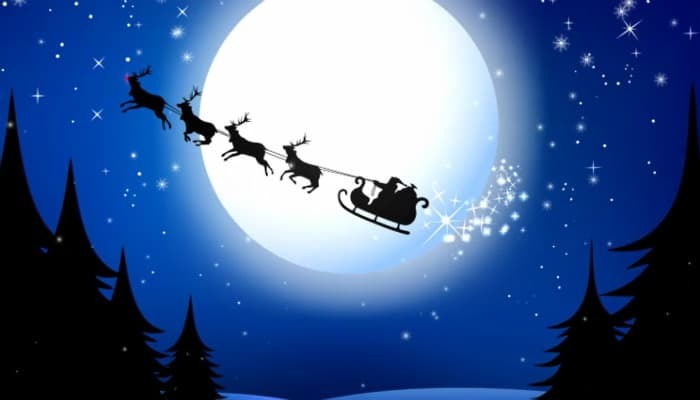 There is no other Christmas image more iconic than that of Santa and his reindeers flying through the sky, delivering all the presents to deserving and well behaved children. As soon as these images become more apparent around us, we immediately know that the holiday season is on the way and an air of excitement enters our lives. Combined with the huge glowing moon in the background and the starry night sky, these electronic Christmas cards for business will inspire a festive spirit like no other. The snow on the ground and the blacked out trees are just part of this cards charm and any recipient is bound to love it. Whether it’s a child that still believes or an adult that’s fully aware of Santa’s little secret, the ecards will still excite the biggest humbug. As Santa flies through the sky, we settle down for the night with our families and rest peacefully with the knowledge that in the morning we’ll wake up to each others gifts- how much better can it get? These Christmas greetings e cards are an ideal way of passing on the joy we feel at this special time. Take a look at the other holiday ecards for business that are available on the website.